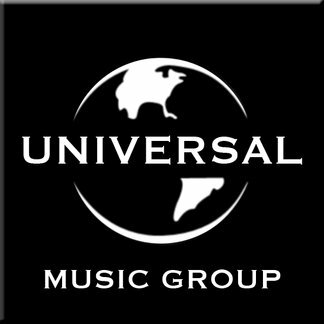 The Wall Street Journal has published a solid overview of Vivendi’s planned sale of half of UMG, whose value has skyrocketed a result of the streaming explosion, as well as the company’s effective management of its business under Sir Lucian Grainge and his executive team. That has included investing in distribution infrastructure, using data to help inform A&R decisions on artists' signings and how to get them onto playlists. UMG has also sought revenue from areas such as merch and concert touring. That diversification is key, said Midia analyst Mark Mulligan, who expects streaming won’t be the last disruption in the music business. Mulligan told Annie Steele that there’s strong appetite for investing in the music industry, and Universal is the only significant way in for institutional investors at this point. Because Universal’s marketshare is nearly double that of #2 Sony Music, which is a small part of the much larger Sony Corp., the dominant music group stands to fetch a premium for scarcity. Private-equity firms and major tech companies could jump into the bidding, but Vivendi appears to prefer a strategic partner. The aggressively acquisitive Liberty Media, which already has stakes in Live Nation, SiriusXM and Pandora, has signaled its interest. But Vivendi’s decision to search for strategic partners for its most profitable division raises questions about how much upside remains, Steele cautions. In the most provocative section of the piece, Steele states that streaming growth will slow this year in highly developed markets such as the U.S. and U.K., according to analysts, who add that it isn’t clear whether growth in less-developed major markets like Germany and Japan will be enough to offset the trend. At the same time, most in the music and the investment sectors believe is there’s a lot more growth left for streaming as subscription grows globally.